Family legal issues can be some of the most contentious and difficult to resolve. Every family has a unique set of dynamics, and each issue requires a specific solution to bring the matter to a successful conclusion. If you are facing a struggle with a family legal matter, it is important to have an experienced attorney that understands your struggles and is dedicated to protecting your interests. At Mevorah Law Offices LLC, we are more than just family law attorneys; we are full-service advocates that are compassionate, down-to-earth, detail-oriented, and dedicated to serving your needs. Our attorneys have several decades of combined experience with family legal matters both inside and outside the courtroom. We also have attorneys that focus on a wide range of other practice areas, including personal injury, criminal law, bankruptcy, immigration and many others. We put our extensive experience to work to provide a comprehensive solution to your family law issue that addresses the big picture and effectively accounts for all known eventualities. Our number one goal is to serve your interests. This means taking the time to listen to your concerns and fully understand your needs. Once we have an in-depth understanding of your case, we draw on our skill and experience to tailor a solution that protects your interests in the most practical and efficient manner possible. 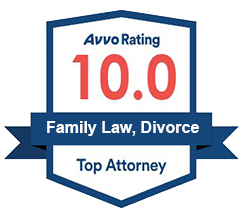 We realize many family law issues are delicate and involve multiple conflicting parties. Our attorneys work closely with our clients to resolve these issues in a way that provides both short-term and long-term relief. In some cases, litigation is the only way to settle the matter to your satisfaction. However, when possible, we explore more amicable and cost-effective strategies such as mediation, collaboration and other forms of alternative dispute resolution (ADR). Whatever the case, you can be assured that we will go above and beyond to see to it that your rights are protected and your goals are achieved. Mevorah Law Offices LLC offers convenience and personalized services from seasoned family law attorneys that are passionate about our jobs and dedicated to serving your interests. We understand that families have busy schedules with work, school, daycare, and other areas of life. This is why we have flexible and extended evening and weekend hours at our five convenient locations. We work hard to remain accessible to our clients and work around your schedule. It is this client-focused approach that often makes the difference between success and failure in a case. If you have a family legal matter and need guidance from attorneys that listen to your concerns and work to accommodate your schedule, contact us today at 630-932-9100630-932-9100 for a personal consultation. 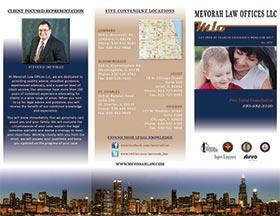 We serve clients from offices in St. Charles, Lombard, Bloomingdale, Joliet, and Chicago.